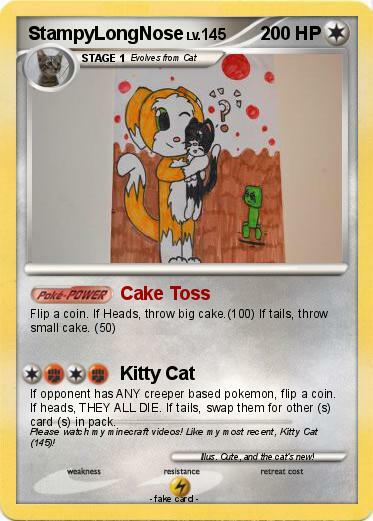 If opponent has ANY creeper based pokemon, flip a coin. If heads, THEY ALL DIE. If tails, swap them for other (s) card (s) in pack. Comments : Please watch my minecraft videos! Like my most recent, Kitty Cat (145)! Illustrator : Cute, and the cat's new!